Honolulu, Hawaii — The Hawaii Health Systems Corporation Oahu Region recently honored Sally Ishikawa for receiving the University of Hawaii at Manoa’s Faces of Nursing award. Ishikawa was among the top-50 nurses in the state of Hawaii recognized by the UH-Manoa School of Nursing and Dental Hygiene and Friends of UH-Manoa Nursing. The prestigious award recognizes nurses who have impacted the lives of patients, their organization or community through dedication to quality patient care, teaching, research and/or community outreach. 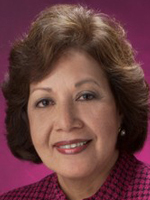 Ishikawa is the HHSC Oahu Region chief nurse executive, and has served in this position since 2004. Previously, Ishikawa was administrator for Oahu Care Facility. She has close to 40 years of healthcare and nursing experience. The HHSC Oahu region is comprised of three facilities: Leahi Hospital, Maluhia, and Kahuku Medica Center. Established in 1996, HHSC is a public benefit corporation of the State of Hawaii. As the state’s safety-net healthcare system, HHSC continues to fulfill the state’s promise to provide quality, hometown healthcare.